Georgia native Brett Bramble said he feels his sister, Brittany, has been with him every step of his 2,600-mile journey along the Eastern seaboard from Key West, Florida, to Fort Kent. 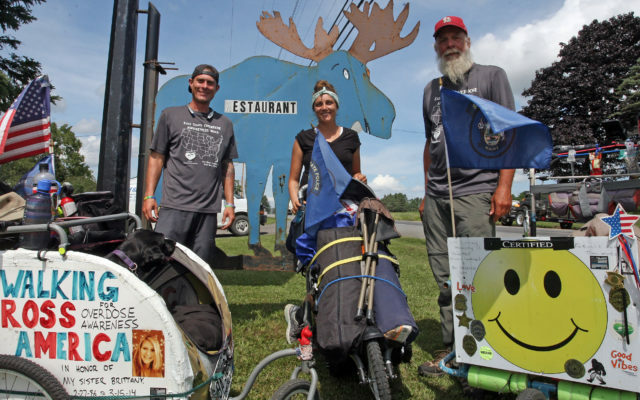 HOULTON, Maine — Georgia native Brett Bramble said he feels his sister, Brittany, has been with him every step of his 2,600-mile journey along the Eastern seaboard from Key West, Florida, to Fort Kent. On Wednesday, Bramble, along with fellow walkers John “Stick” Azerolo and Jessie Grieb, and Bramble’s dog “Domino” were walking north on U.S. Route 1 in southern Aroostook as part of their trek to raise awareness for opioid addiction. Bramble began his walk in Key West, Florida, on Jan. 27 to honor the memory of his sister, Brittany, who died from a heroin overdose on March 15, 2014, at the age of 28. That first walk in 2016 involved going from the Atlantic Ocean in Delaware across the country to San Francisco and the Pacific Ocean. That 3,200-mile walk proved to be a tremendous success, as he engaged with thousands of people along the way, helping to raise awareness for opioid addiction. In fact that walk was so successful that Bramble decided to do another one just a few months after returning home to Atlanta, Georgia. This time, he decided on the 2,600-mile journey from the southernmost tip of Florida to the crown of Maine. 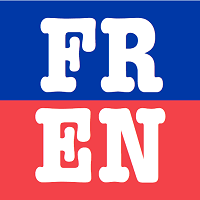 He and his companions expect to arrive in Fort Kent on Friday, Aug. 17. Azerolo, a native of St. Louis, Missouri, signed on to join Bramble from beginning to end. Along the way, the duo turned into a trio with the addition of Jessie Grieb of South Carolina. Grieb, who is a recovering addict herself, has lost several loved ones to drugs. She joined the two in Maine a few weeks ago. Travel has been slow, especially with the extremely hot summer in the Northeast. The group tries to average about 20 miles a day, but occasionally has had to stop short of that goal due to the heat. Along the way, they have encountered many amazing people who have offered their support of the cause, shared their own experiences with addiction, or simply offered the trio something cold to drink or a place to rest. For example, while in Washington County, a Coca-Cola driver pulled his truck over to give the group some cold Dasani water. To that end, Bramble said he also started Freedom to Grow, Inc., a non-profit organization that provides a farming retreat in the North Georgia mountains for people with troubled pasts who can live on-site for nine months while going through an effective aftercare program. Participants also take on farm duties and all food that they eat is grown and raised on-site. To learn more, donate, or follow their journey, visit http://brettbramblewalks.com/.